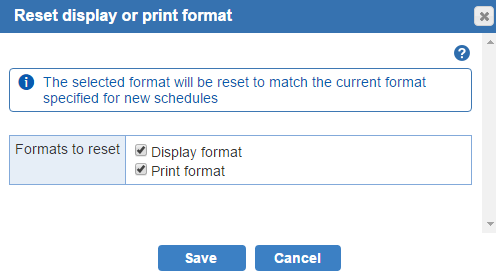 If you've changed your 'Print' and 'Display' Settings in the Scheduler portal after a schedule was created, you can click on the Reset format button to update the schedule version with current settings. 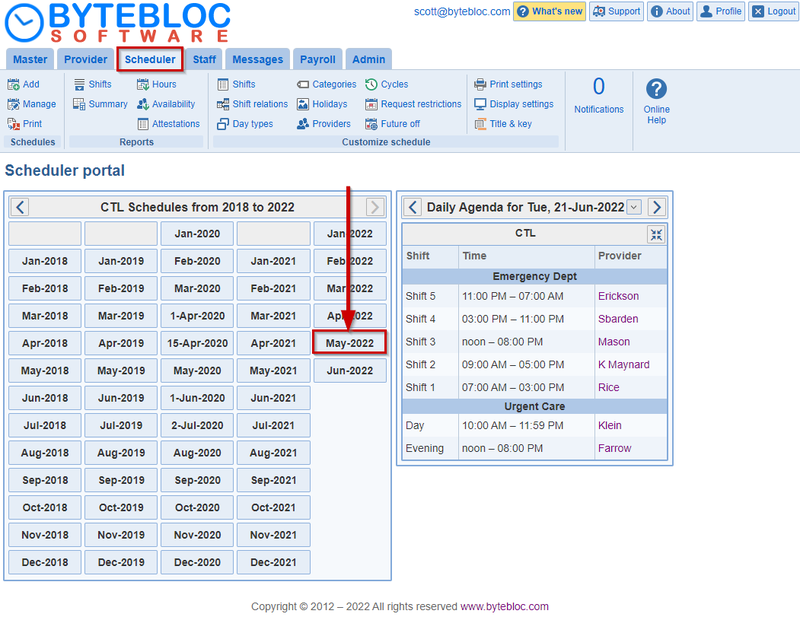 Now select a schedule period from the schedules. Double-click on the latest version. In the 'Display & print' section of the menu, select the 'Reset format' button. The 'Reset display or print format' window displays. By default the 'Display format' and 'Print format' check boxes are selected. Note: If you only made a change to one of the screens, please make sure that check box is selected. Click the 'Save' button for the changes to apply.